Happy V-Day… the Croshame way! I’ve got a couple of Valentine’s Day cards for this year, both music-related! 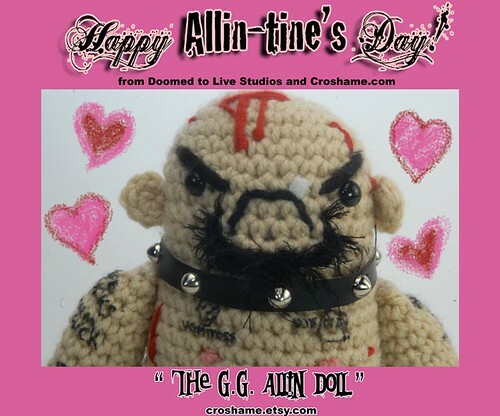 A Valentine for all those loveless creeps in the world, a crochet portrait one of the most despicable and unlovable men in punk rock history, G.G. Allin! 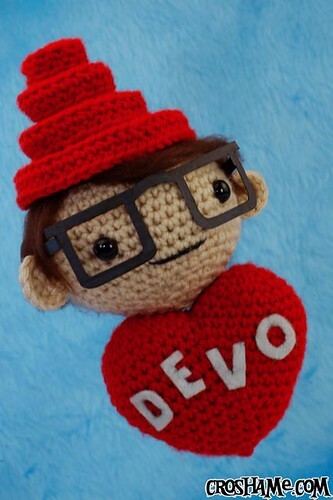 It’s a lovin’ portrait of DEVO frontman Mark Mothersbaugh! This entry was posted on February 14, 2011 by croshame. It was filed under Croshame .